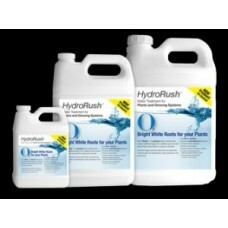 HydroRush is a safe and ready to use water treatment root growth stimulator. Fast growing bright white roots means better nutrient uptake for plants and faster yields. Proven effective at stimulating beneficial microbial populations in the root zone to enhance the process that releases oxygen and other nutrients. Not recommended for use after initial two weeks of bloom cycle.